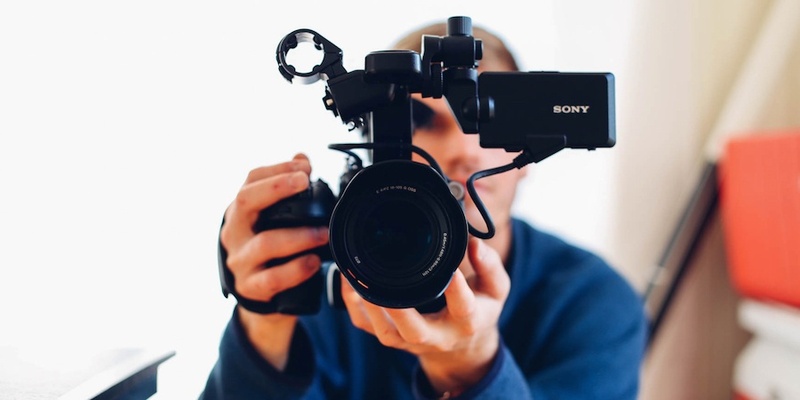 If you’ve ever hung out with a few video experts, you’ve probably encountered the intense arguments over YouTube and Vimeo—which is better? And what about Wistia, a lesser-known yet viable contender? Where can it play a role? Which looks nicer? Which is more user-friendly? Today there are almost 7,000 martech and video software platforms to choose from — an overwhelming number for sure. Especially when you consider the pace at which marketing technology is advancing — this is up from 150 in 2011 — and you want to make sure that every tool you employ is helping you achieve company growth. 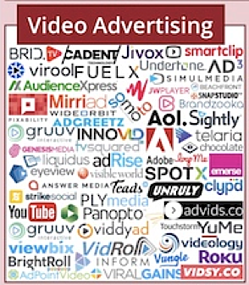 The ever-growing martech field can make one think—is there a marketing advantage to using one, or all, of these video hosting options? Loyalists to either will say yes, but let’s evaluate the pros and cons before you decide what is right for your company. From a content marketing standpoint, the variables to consider are pretty simple. More often than not, you want to optimize view count, simplify accessibility, retain strong aesthetics, and use a player flexible enough to handle anything from live video to 360° video. While its subscribers and viewership pale in comparison to YouTube and Vimeo, Wistia brings some extremely valuable functionality to the table for marketers, and it should be seriously considered as a viable video platform. The platform has robust analytics tools that can tell you where people are from, where they click, and even track where in a video someone stopped watching—giving you insight into creating engaging content in the future. It's also great for lead generation, allowing calls to action (CTAs) that guide viewers to sign up for emails, and it offers gating capabilities that require someone to enter an email opt-in prior to viewing. In addition, the platform can be integrated with most popular marketing software including HubSpot and Marketo. The advanced analytics function of Wistia, including heat mapping, is a definite pro. You can even change the color of the play button and video player controls to your branded palette, allowing you to fully control the viewing experience. Wistia's thumbnail customization is also a standout feature, as it includes easy-to-create GIF thumbnails for your videos. And the thumbnails are just the icing on the cake; Wistia’s sleek 360° feature is perfect for those trying to capture something bigger than life! Overall, the look is clean and inviting without the clutter and distraction of unnecessary ads, banners or graphics. Some have even touted them as "insanely responsive, friendly and helpful." Not only are their employees super helpful, the site itself has an abundance of online tutorials and resources (in video format, of course), and their helpful guides intuitively walk you through how to make your videos look and perform their best. There is a cost to using Wistia beyond their free trial, but the functionality and support it offers are great selling points. If support is important to you, Wistia makes a case for being the best platform. 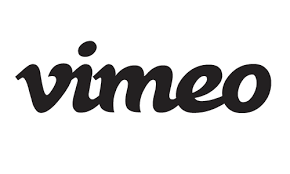 Vimeo is the hip, good-looking cousin to YouTube. It has a niche audience, a sleek interface, and it's been deemed the countercultural option to YouTube by some — as one blogger put it, as YouTube is to New York, Vimeo is to Portland. While it isn’t as known for hosting viral videos, Vimeo has become the favorite of those who are looking for a sincere and minimal presentation for their videos. Vimeo’s easy to use 360°, live, and 4k support features are made even more impressive with their clean UX, due to the fact that they have no pre-roll, post-roll, or overlay ad on the site. The user experience of Vimeo is at a completely different level from YouTube—everything is organized, easily searched, and it all feels like an artistic portfolio. In addition, the quality of video production on Vimeo tends to be higher and there’s absolutely no limit on the length of videos being uploaded. This is all part of Vimeo’s appeal as an artistic community versus the “anything goes” approach of YouTube. These qualitative points make Vimeo a pro on aesthetics. Removed is all the commercial, gaming, and non-user-generated content. The community tends to be a more professional crowd, made up of filmmakers and film enthusiasts. Some compare YouTube to Facebook and Vimeo to LinkedIn, giving Vimeo a more refined vibe that gets filtered throughout its approach to video hosting. Again, this is a pro for businesses focusing on B2B outreach. The argument for Vimeo is that they’ve designed their player to seem more like third-party or native media players than an embedded player. The design is made to highlight content rather than any sort of Vimeo branding, so you can expect to see it used more and more in the future. Although YouTube’s isn’t bad, Vimeo has the advantage here. And, while there is a free version, if you plan on uploading a lot of content, you'll need to choose from four paid plans for the service. For some, the refined look and absence of annoying advertising and cluttered appearance is worth it. When it comes to online video, you simply can’t ignore YouTube because it has the most content and the most viewers of any video host on the web. 300 hours of video are uploaded to YouTube every minute and almost 5 billion videos are watched every single day. However, as a marketing tool, you have to ask: How does YouTube’s functionality meet your needs? By default, there is a standard 15-minute limit for each video. You can upload longer videos, but the process for doing so is cumbersome. Another consideration is whether YouTube’s massive on-page community really matters when you just want to have viewers watch the video while it's embedded on your blog or website. Conversely, are you trying to attract a larger audience to a social YouTube account with specialized playlists and interactive content? Let’s assume that the ultimate goal is to get people to your website. With these considerations in mind, here are the pros and cons of using YouTube to host your videos. With an audience of more than 1.3 billion users, you might be able to draw a higher number of people to your videos. However, with more audience, there’s also a huge pile of content (both good and bad) being uploaded to YouTube at a constant rate; your video can easily become a needle in a haystack. Such a big audience is hard to ignore though, and if you make a strong promotional attack, you can really take advantage. Overall, YouTube’s audience is a definite pro. YouTube’s free service includes unlimited uploads, 360° video, live streaming, and full customization. Because it's owned by Google, the search function is pretty robust, too. There are plenty of options as far as organization goes: Users can create channels and playlists while sharing videos effortlessly. However, there’s a tendency for YouTube to lose aesthetic appeal with a cluttered interface and high number of third-party ads. These downsides are definite cons for YouTube. Rather than using YouTube as a content marketing option, you can easily make it into a tool for strong advertising if you want to pay to make it happen. Businesses, nonprofits and public campaigns are using YouTube as a proxy for television advertising, so if that’s what you’re looking for, YouTube’s huge audience, is yet again a big pro. Since it’s been around so long, the overall aesthetic of YouTube’s player is familiar to most users. Although the player is well known on the Internet and easy to use, designers might have something to say about how the ever-present YouTube logo affects your branding. If you want all of your marketing content to align with your branding, this is definitely a con. The choice among the three video hosting platforms will probably not be detrimental to your content marketing strategy, but you'll likely find one suited to your company’s brand, personal user preference and desire for viewer data. As you look to make a decision based on attracting (and keeping the attention of) the right audience, you might find one that works better than the other. And it's not unheard of to host videos on multiple platforms depending on their functions. If you’re among the billions of people using YouTube, try using Vimeo or Wistia for a change to see if you increase engagement. The key with all inbound video content is to meet the needs of the viewer by creating content that communicates clearly, provides a helpful answer, and delights the viewer. Be sure to make the viewing experience the best it can be by choosing a platform that works for your brand and prospects.